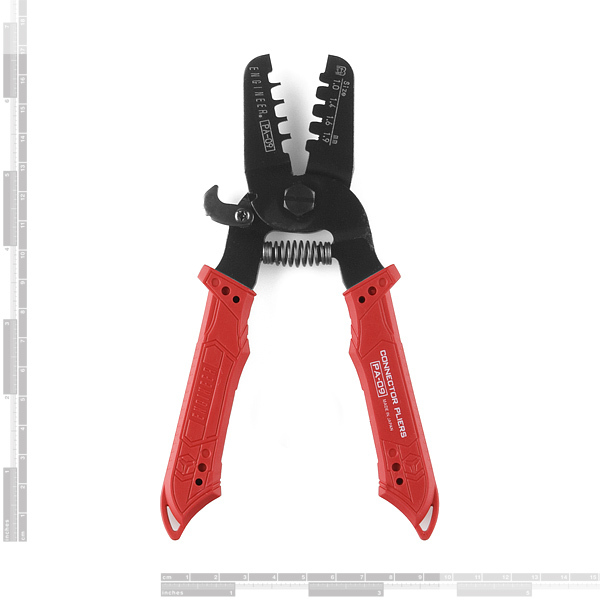 These crimping pliers allow you to easily make your own wiring harnesses using crimp pins and cable housings. These are not a regular set of crimp pliers. 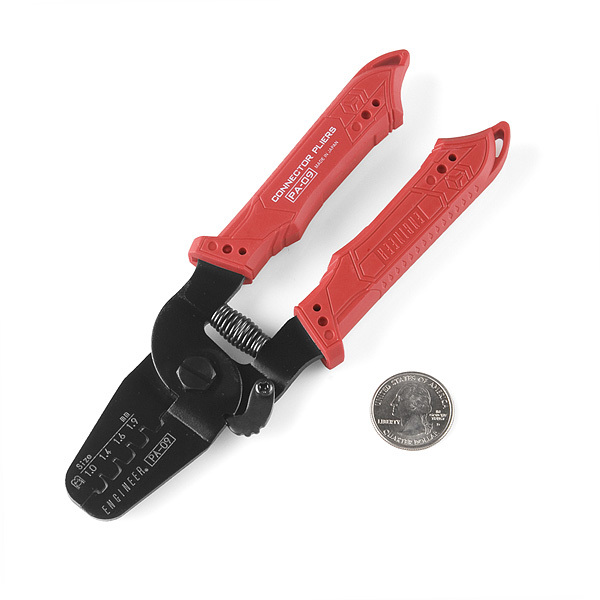 These pliers are capable of crimping very small 1.00 - 1.9mm crimp pins. These work well with JST PH, SH, SHL, and ZH series pins as well as DF14 HRS and micro-latch from Molex. A similar set of crimpers from JST can be more than $400! 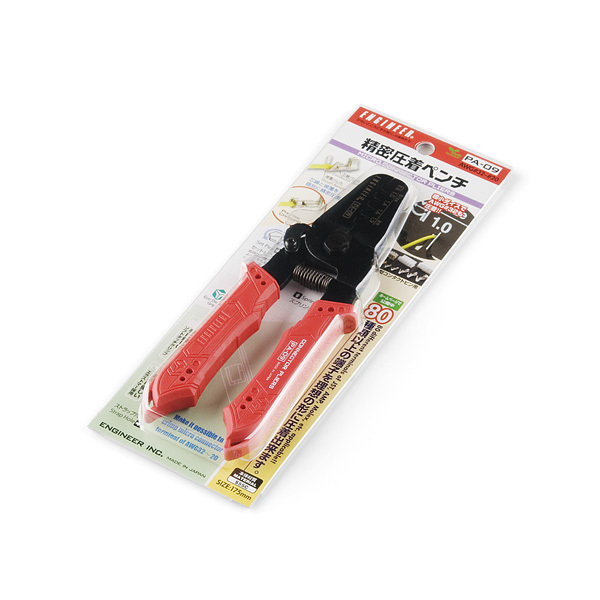 We found these pliers to be very high quality at a great price. Despite what they say on the package, these are not great for JST PH series crimp pins. As someone already mentioned you will need to crimp twice, because dies are not wide enough to pinch both jacket and wire parts. Which is not that bad actually. More annoying is that after crimping jacket part is too wide to be inserted into housing, so every time you'll need to reshape it with small needle-nose pliers. And I mean every time... Also frequently crimping action will break the wire (I'm using 28-awg ribbon cable)... So it's better than nothing and probably very good for other type of crimp pins, just not ideal for JST PH. It would be cool if you could offer a little started kit of connectors so we could play with all the different types these support. Forgive my lack of knowledge when it comes to connector types. Will these crimp pins for standard 0.1" housings? Do you have a set of pliers for tje JST PA series pins? Will these work with the connectors found in the WowWee Robosapien V2 robot. If they do which connector should I get as well? These are a fantastic crimper and a great price. We use them for JST crimps. They get a hammering at our workplace and are still going strong, just ordered 5 more. Do these crimpers work with the 1.25mm Molex Picoblade pins? It seems that there are not many good/cheap options for working with the Picoblades, so it would be wonderful if these worked. EDIT: I found a pin-compatibility chart from the manufacturer which includes the Molex Picoblade, but no mention elsewhere in forums about how easy/effective they are. These are good quality crimpers, but when using them with the JST-RCY connectors, you do need to pre-squeeze the insulation retainer portion of the pin first. Otherwise, it is too wide to directly crimp in the largest die position. Other than that, very nice. Is the price correct? Â£37.23 seems a bit steep when I can get some for around Â£8 somewhere else. Evidently they're not the same standard, bu they do the job. Just received these today, a few days after receiving two other crimpers from Pololu. The Pololu crimpers http://www.pololu.com/catalog/product/1929 $29.95 and http://www.pololu.com/catalog/product/1928 $34.95 have a better build quality and a more advanced ratcheting mechanism, as well as being designed to crimp both the conductor and strain relief in one pass. Could you measure the barrel width of the pololu crimpers like the PA-09 shows in step 1-1, and put them on your site (or here?) That would be awesome. conductor crimp widths : 1.41mm and 1.56mm for the TWO position crimper. AND 1.69mm, 1.93mm and 2.18mm for the THREE position crimper. I did not measure the strain relief crimp widths. I used my best caliper measuring technique, but the "inside" prongs on hand calipers are notoriously lacking in accuracy, and I don't have a set of precision gauges. Got them in the mail a couple of weeks ago. First impression: very sturdy action and soft, comfortable and grippy handle. Good quality rubber. Did a first crimping job today on crimp pins. Result - perfect! Very quick and precise. 5 out of 5. "Made in Japan" still means something today. BTW: Looked for a similar tool in the Knipex lineup. Found only a combination of a tool and a special attachment for different pins. Very versatile, but the price for the 2 added up to nearly $600. These work amazingly well. They are not for production use but for prototypes they work awesome. You must crimp twice and be careful or you'll cut off the wire (the process is not easy, don't fool yourself). But eventually you can produce great cables for prototypes. I used the crimper on SPH-001T-P0.5L and SPHD-001T-P0.5L, part of the PAD connector series. Worked great. It is literally impossible without this tool (I tried, gave up and tried solder, and it was FAIL). Do these work with JST XH series conncetors? Not bad crimpers for $60. They won't beat a nice pair of Molex Crimpers ($300+) but they work for my side projects. I got them to work well with the Polarized Connectors (see products below). Now onto to connectors of choice - JST XH series. So did they work with the XH series of connectors? Used this tool with various connectors e.g. Works great after a little practice. You have to crimp twice. Much faster than soldering and more control (crimp both times with the correct diameter). Because the metal "flap" is curved inwards the connection becomes tight and strong. You think $60 is high? try $925!!! I could have really used these a couple months ago when I made a VGA cable for my home server. I've just been using needle nose pliers and then soldering the pin and wire together but these would be nice to have. I've used both and these are MUCH better. If you're going to use them a lot, it's worth the money. Any chance for a crimping tutorial? I've seen a few guides online but I still can't figure out why I only get 1 out of every 6 right, even with tons of practice. My finished connector blocks with crimped wires also come out terribly and I hate having to hot glue inside the access holes just to keep them from popping out of the housing when I plug/unplug. There's a little mini picture tutorial on the back of the box. It's pretty easy if you have the right tools. I have a similar pair of crimpers, perhaps slightly different, that is actually too narrow for standard servo connectors like futaba or hi-tec varieties. It still works, but you have to crimp twice for both insulation and conductor.